Attleboro, MA - General Compression, Inc., the pioneer of dispatchable wind power, has successfully closed an initial round of funding for over $5,000,000. These funds will be used to accelerate the development of General Compression's revolutionary dispatchable wind technology. The company focuses on collecting energy from the wind as compressed air, storing the compressed air in pipes and underground geologic features, and expanding the air on demand to make electricity. The company anticipates that this technology will lead to a dispatchable wind energy platform that will offer utility scale energy parks creating wind energy on demand at competitive prices. Dispatchable wind energy can be sold when prices are high, and stored when prices are low. Conventional turbines need to protect their generators from accepting too much energy. When the wind blows over 10 meters/second (m/s) most turbines feather their blades to begin shedding incoming wind energy. When wind speeds reach 15 m/s, most turbines stop accepting any new energy, and at 25-30m/s the machines shut down. Their system is not limited in its output like a generator, and can accept much higher energy inputs and rotor speeds. In windy sites, this means that for the same foundation, tower, and blades, energy production can be substantially improved. When the wind blows, lift is created on the turbine blades, spinning the compressor inside the nacelle. The compressor pumps air to over 100 atmospheres of pressure and sends the air down the tower into an underground network of high-pressure pipes. The high-pressure pipeline network collects and stores 6-12 hours of energy. The energy collection system doubles as a storage system. Electricity is very difficult and expensive to store on a utility scale. Capacitors can store energy efficiently on a scale of seconds, and flywheels and open flow batteries can store energy for minutes, but only compressed air and pumped hydro store energy efficiently on a time scale of days or months. If the project is sited near a geologic feature such as a salt dome, aquifer, limestone cavern, or depleted gas field, energy storage times can exceed weeks and even months. Their expanders, that drive generators, are rated at four the power output of their compressors, greatly increasing the nameplate capacity of our windplants, and enabling us to offer the lowest installed cost per kW of any wind technology in the world. Conventional wind farms need to reserve transmission rights based on their nameplate generating rating, even though on average they will only use 20-40% of this transmission capacity. This results in over-paying for transmission, and in over-allocating resources to the wind farm. Grid congestion during high wind periods can lead to curtailments in which conventional wind farms are ordered to shut down some or all of their energy production. The anticipation of grid congestion delays some wind farm projects for years until grid upgrades are completed. A Dispatchable wind farm can be configured at twice the rating of a conventional wind farm and still fit through the same transmission corridor. It can also use 100% of available transmission capacity during peak price periods, and store energy rather than waste it during periods of curtailment. By shifting the time when power is sold, the wind project can sell power on peak at a higher price, be more compatible with the needs of the grid, and become eligible for capacity payments. This solution will double the profitability of wind farms. Since intra-day peak and off-peak prices often differ by a factor of 4, substantial value is lost by not achieving peak prices. General Compression wind farms can be configured to earn peak energy prices, boosting wind farm revenues substantially. Thanks to Rob Day of Cleantech Investing for the tip. What do you figure they are talking about when they refer to their "expander?" My first thought was that it was an air turbine, but they say "the expanders have no high-speed blades or disks." Maybe an air-powered reciprocating engine of some type? Excellent technology! My take on this principle is to run a power shaft to the ground and directly power a generator when the grid can accept the power. By transporting the mechanical energy to the base of the machine various generators and pumps can harvest the power. It lowers the weight at the top of the tower, drastically cutting the cost of the machine. And boosts the power output, lowering the cost per kwh for the device. When excess wind power is available power the compressor to store the energy for later recovery. It combines the less efficient energy obtained from the storage feature with the efficiency of direct to grid electricity production. Heat pumps or water pumps, as well as compressors, can also be used to store the excess wind energy. For instance, heat pumps could be used for industrial distillation, then the excess energy is stored in the distillation product. I have much more confidence in flow batteries than compressed air for windfarms. See my post under 5th March "Energy Storage for Windfarms - now close to reality" http://www.altenergyinvestor.org/wind/. Flow batteries can provide much more energy storage than minutes - that's why the Sorne windfarm in Ireland is deploying them to store 12 megawatt hours of electricity at night to sell back into the spot market during the day. I'd love to see this company succeed, if for no other reason than they are based in my hometown. However, something about them triggers warning bells for me. Perhaps the fact that they ARE in my hometown, but I've never heard of them. Perhaps the fact that their phone number is 617 (Boston) to increase prestige, but Attleboro is far outside the 617 area. That just strikes me as one of those things you do when you're trying to look impressive to foolish investors who are easily parted from their money. I dunno. I hope my gut instinct is wrong. Not only is this interesting technology, but I'd love to see some decent jobs come back to Attleboro. CAES for electrical energy has been around for a long time, typically involving storage of air in underground caverns, for example solution-mined salt domes. The interesting thing here is the direct production of compressed air by the wind turbine. This could also be the downfall -- how do you get the compressed air from many wind turbines to the storage cavern? If you have a separate compressed air tank at each turbine, the cost of the tanks will be prohibitive. That 'network of high pressure pipes' also sounds like it could be expensive. I wonder if the idea could make more sense for offshore wind, involving pumping air down to collapsible or open-on-the-bottom storage tanks anchored to the seabed in deep water. Such tanks would not have to be strong enough to withstand the absolute pressure of the contained air, only the forces arising from bouyancy, which do not increase with depth, but only with the height of the tank. A story today released by VRB the Vancouver flow battery outfit. It seems the Irish windmill project is finding the flow batteries are a good fit for their opperations. They are tweeking the size and duration of the battery design for the final tests but it appears to work well and gives a decent return on investment. $9.4 mill for 2 MW of storage at 6 hours duration. The eventual predicted market for storage in Ireland alone is 700 MW. That's 700X $4.7 million, one hell of a contract if you could get it. A direct drive compressor without the electric generator-to-compressor losses. Elegantly simple. I like that. No detailed cost analysis, though. How much energy is gained? How much is the revenue increase from sale of higher cost electricity? What does the pipe system cost? Are the economic gains worth the cost? Does this hold true if there is no geologic feature (cave or salt dome) for storage reservoir, just the pipes? With $5 million invested maybe we'll find out. If cheap composite or plastic pipes can be used then you'd think the storage part of this system would last forever. 60 years like a nuke plant? Longer? Longer term amortization means potential for lower cost. Maybe this has low cost potential. Very interesting. Wonder how costs compare with flow batterys? "the compressor inside the nacelle. The compressor pumps air to over 100 atmospheres of pressure and sends the air down the tower"
No, drive shaft in the tower. Must be pressure sealed rotator joint of some type. Neat! Lower cost (maybe) and less friction than drive shaft down tower, if it keeps a seal reliably. When you compress you produce heat which is lost energy. When you decompress, you produce ice so you must heat the stuff to get it work, still more energy lost. The compressed air car of Guy Negre gives an example of the bottom low yield of this process: compared to a generator directly attached to the shaft, you lose at least 80% of the mechanical energy! If its promoters don't talk about yields, there must be some good reasons. Demesure: these losses can be made small by multistage compression/expansion with intercooling/reheating. In the limit of infinitely many stages this is isothermal compression/expansion, which is isentropic. You can't reach that limit in practice, of course, but you can do much better than a single stage compressor/expander. Bah, brain f*rt. It's not isentropic (there's heat and entropy flowing to/from the environment) but it is 100% efficient, in the limit. The word you want is "isothermal". I also wonder about the efficiency of this scheme; compressed air has far greater transmission losses than electricity, and large central compressors can be much more efficient than smaller ones. But if there's enough energy lost in the conventional scheme due to having to limit production, they could still come out ahead. The suitability will depend a great deal on the local conditions. Perhaps a hybrid system, producing both direct juice and compressed air, would capture the best features of both. The issue there is cost and complexity. The expander end is just as interesting. The CAES system proposed for Iowa was co-fired with gas, to increase the total energy output (and input). This does not appear to be part of the scheme here, but it probably could be. It could also use solar heat or waste heat from other processes. Enough of this, and it could produce more energy output than the turbines receive. Again, heavily dependent upon the particular site characteristics. In Europe, a group of researchers are studying a different approach. It eliminates fuel consumption altogether, so that the system functions as a pure storage facility. They call it Advanced Adiabatic CAES. The idea for AACAES is that, in the charge cycle, hot compressed air is passed through a counter-flow heat exchanger before being sent to its storage cavern. The compressed air transfers its heat to a thermal storage fluid, which then enters a well-insulated storage tank of its own. In the discharge cycle, both flows are reversed, and the cool compressed air from the storage cavern recovers most of the heat it gave up before being stored. The now-hot compressed air exiting the heat exchanger drives an expander turbine to generate power. If the heat exchanger and thermal storage work well, then efficiencies approaching those achieved with pumped hydroelectric storage should be possible. However the requirements are challenging. The counter-flow heat exchange system must span a temperature range from ambient to 650º C, and store a large volume of 650º fluid for the better part of a day or more without significant temperature loss. Nucbuddy, thanks for that link. If the discussion wasn't already 2 months stale I'd add a few things. One thing that's wrong is the 650°C figure. This may be correct for a single-stage compression, but who's going to try to recover heat energy and then design a compressor system which makes it so difficult? Multi-stage compression could boost the temperature by much smaller values before intercooling, allowing the heat energy to be recovered at temperatures compatible with liquid (pressurized) water as the coolant. Instead of having one stream of coolant at 650°C, you'd have several parallel streams at perhaps 150°C. The energy capacity of water as a coolant is much greater than that of water as a weight. A kilogram of water passed through a 2 km drop will store or return about 20 kJ of energy. The same kilogram of water will transfer roughly 400 kJ between 50°C and 150°C. One thing that's wrong is the 650°C figure. I presume they chose this high temperature to maximize the stored energy per unit of stored compressed air. Multistage compression would require a larger storage cavity, if you reheat the air just with the heat produced during compression. The energy capacity of a cubic meter of water is far greater than a cubic meter of air. Per the analysis, the cost of the storage cavity would be a rather small factor at that scale. Per the analysis, the cost of the storage cavity would be a rather small factor at that scale. I was talking about the storage cavity for the air, not the water. The single stage adiabatic scheme uses the expensive air storage volume more efficiently than the isothermal or multistage adiabatic schemes would. With the compressor on the ground the heat can be stored in storage media, like molten wax. Then returned to the compressed air when it is converted back into mechanical energy. That can't happen with the compressor at the top of the machine. Futhermore: With the power delivered to the ground, generators that produce 500 kilovolt DC for the high voltage grid can be employed directly, no conversion losses. And of course any other use for the mechanical wind power, wether to store it, or use it directly can be facilitated where it does not add weight and expense to the wind machine. Large scale wind machines of 10 to 50 mega watts will need to utilize this design. The weight of the generators and other equipment at the top of the tower would make their construction cost prohibitive. I was talking about the storage cavity for the air, not the water. So was I, mostly. A cubic meter of air at 100 atm expanded isothermally will yield about 36.5 MJ, if I took the log of the right number. A cubic meter of water will absorb about 4 MJ/°C, so the volume of water required would only be about 9% of the air volume if the temperature rise is 100°C. The single stage adiabatic scheme uses the expensive air storage volume more efficiently than the isothermal or multistage adiabatic schemes would. How could it, when the storage conditions are the same? Unless you also have a candidate heat-storage medium which can handle 650°C temperatures and is cheap, you're trying to compare to a non-existent ideal. Trying to store 650°C air is just going to heat up the storage cavern. Ooh, fascinating idea: with the combined wind/solar plant, the solar collectors could be used to heat the down-hole water with any excess heat! The energy would be returned in the air upon expansion. This scheme may founder upon problems with condensation due to expansion of humid air, but it certainly bears more analysis. How could it, when the storage conditions are the same? The scheme they proposed stores extra energy in that 650 C thermal store, it was not proposed to store 650 C air itself! It is this extra energy that is converted back to work as the reheated air is expanded. If you only reheat the air a little, using hot water, it will do less work on expansion. So you make less efficient use of the low energy density, expensive air storage cavern. Sure, the 650 C storage and heat exchanger is going to be more expensive than storing hot water. But the savings on the air storage could more than make up for it. I'll note that compressing air near-adiabatically to 650 C isn't that hard -- combustion turbine compressors do this all the time. A BotE calculation tells me iron will do nicely. A kilogram of iron will cumulatively store and release on the order of 1000 kWh of energy (as heat) over 30 years of diurnal cycles. Don't forget that the specific heat of iron increases steadily with temperature, and is several times higher at 650 C than it is at room temperature. If a cubic meter of storage cavern costs $265 and I get my calculated figure of about 10 kWh per cubic meter, that's roughly $26/kWh; this is a small fraction of the total plant cost. While iron and steel will corrode (perhaps burn) at 650°C, my heat-storage medium is relatively inert, literally cheap as water and as easily replaced. If I compress and expand air using bubbles in a moving water column through a 2 km drop, I get on the order of 20 atmospheres of compression/expansion for "free". The heat transfer is "free" too. From my compressed water tables, it looks like I could heat the water up to well over 200°C (perhaps over 250°C) without having too much vapor in the air. Add that to the extra 20 atmospheres of compression from the 2 km of drop in an air column, and it looks pretty good. The vapor pressure of water at 250°C is about 580 psia, or ~40 atmospheres. It will be about 40% of the volume of an air/water mixture at 250°C and 100 atmospheres (roughly 29% of the mass). The delta in internal energy between 50°C and 250°C is about 890 kJ/kg. You can even mass-load a stream of air with water and moderate the temperature during compression by evaporating it. I'd have to do more detailed calculations, but it looks like water might be a very good medium for CAES heat management; much better than iron. [...] this is a small fraction of the total plant cost. This presenttion agrees well with your figure for the cost of mined cavities, but also puts the cost of the mined cavities for CAES at a bit below half the capital cost of the entire system (gas reheat, and for ten hours of storage). This is not a 'small fraction'. Let's look at the cost of iron. Suppose the fabricated iron storage medium ends up costing maybe $2/kg (a moderate multiple of raw material costs). Each kilogram of iron will store several kWh of energy, so the cost per kWh will be a factor of maybe 50 lower than your cost for the cavity. Water could be even cheaper, but why are you optimizing the low cost part of this system?! Penny wise, pound foolish. Solution-mined salt domes and aquifers do much better on cavity cost, I admit. Excuse me, that number for iron was off by a factor of 10. Still, the point holds, if not as strongly. Perhaps even better than iron would be liquid sodium. Sodium's low temperature specific heat is several times higher than that of iron. Metallic sodium (industrial grade, not reagent grade) is quite cheap ($.10-.20/lb, according to what I see online), and it would be liquid in the temperature range of interest. This may have been what they were thinking of with the counterflow heat exchanger; there would be two tanks (one of hot sodium, one of 'cold' sodium); the first would be filled on charging, the second when discharging. Handling liquid sodium of course has issues, but at least this isn't radioactive sodium as LMFBR coolant would be. When I looked up the specific heat of iron I got an estimated energy storage of 344 kJ/kg over the 600°C range, but because it wasn't salient to my point I ignored it. Besides, you can't make iron flow through a heat exchanger in that temperature range. Sodium flows easily, but the cost and chemical reactivity make it look iffy. The beauty of water is that it's effectively free. Hot water stores a great deal of energy in a very compact space, it flows easily, and it's relatively unreactive (though it will dissolve minerals from cavern walls over time). The cost of isolating sodium from water and air would be high, while water can exchange heat directly with air. Water can even form part of the working fluid (expanding a mixture of hot air and water vapor). The energy storage of the hot water is on the order of 200 kWh/m^3, which dwarfs the storage of the air. I've got to find the time to pick this apart in detail, because it's fascinating. Storing heat from compressed air storage in molten metal? How do you get the molten metal from the top of the wind tower to the air motor that runs the generator? Or do you put the air storage, molten metal, and air motor/generator at the top of the wind tower? Molten metal run through heat exchangers? Might as well embrace GRL's solution eyyh? Hehehey. Boron makes the car go. The storage of heat was not for the system advocated by this company, but for that advanced adiabatic system proposed in Europe (which is a more traditional system that stores electrical energy generated elsewhere). Besides, you can't make iron flow through a heat exchanger in that temperature range. No, but you make the air flow through the iron, which will act both as a storage medium and the heat exchanger. Set up a tall, insulated volume partially filled with thin pieces of iron. Hot pressurized air enters at the top and cools as it travels down, exiting from the bottom as cool air. The crucial design requirement would be that the temperature gradient in the iron does not dissipate too quickly; insulating barriers of some kind between successive sections might be needed. Unfortunately, I don't have the time to do the analysis on the air-steam idea that I'd like to do. The sodium-storage idea looks like it would make for spectacular fireworks if something failed. The iron-storage idea has just one flaw: it has massive pressure vessels which have to be insulated (and may have to be insulated on the outside), and have to be above ground. The energy/volume density of the iron is greater than water (perhaps half the energy/mass but much greater density), but you can put the water away underground and leave only the minimum equipment at the surface. I have my doubts that anyone would try building the compressed-air storage system with a regenerator made of iron. This technology will solve most of the maintenance problems with generators/gear boxes and high-speed drives. Our group just completed a video contest for HAWG power, in cooperation with LiftportEnergy.com and GreenEnergyTV.com, to launch a video of an energy kite, carrying a wind generator to several hundred feet; the deadline was Earth Day 2007...the winner of the contest was Kite Gen dot eu, which launched their video on YouTube - search on kitegen. Why not build wind farms along our borders? our energy education groups - American Windfarms would like to suggest that power plants on our borders, guarded by energy coops and land owners/leasing companies would provide much better security than fences, and could also provide home-grown energy to communities on both sides of the borders. Having something to protect would bring value to the border regions, and make it easier to create employment and training opportunities on both sides. The energy contractors are capable of hiring security to guard their plants, and their could be energy contracts for wind solar and geothermal drilling - why not allow the drilling companies to bid on land, along with wind and solar developers? All that the politicos want is a tug of war; americans in the north and south countries want solutions...stop waiting for the government. Let the energy contractors in other countries make a bid on leasing borderlands, and create energy production zones in this very large region of wilderness. All of the oil companies are getting into clean energy technologies; let them lease lands along our borders, and take the problems away from the government, with a free enterprise solution. The discussion about thermal storage and transfer materials above made me think of the salts used in some solar thermal systems. How about borrowing some of these solar thermal salt technologies? Experience with solar salts has already been gained and it's fairly far along the development path. The common salts used flow easily and are cheap and stable. Can someone help me with the calculations here? I am suggesting an energy storage mechanism of a 600 lb chunk of steel heated to 1000F or 1500F. Energy is reclaimed from the core with a heat tube that is inserted into the heavily insulated container for the core. I use the heat to produce steam to drive a steam engine for a car. The whole insulated core can be swapped out from the back of the vehicle for "instant" refuel, kinda like exchanging your propane cylinder. At home, heating strips built into the insulating container gradually "recharge" the heat from the grid. My back of envelope calulations show about the range of gasoline. (assuming a load of 150 HP for 4 hours). Can anyone help me understand if this is a reasonable thing to attempt? I did read on another blog, someone suggesting digging shafts underneath wind turbines and driving a heavy weight up and down the shaft to store and release energy as required. 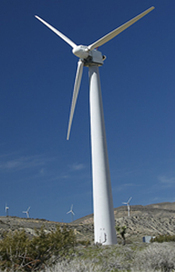 This article will discuss the advantages and disadvantages of wind energy. Some of these might seem apparent already but we will delve into it throughout the article. Once wind turbines are setup they do create very good efficiency for power but it's the setting up of the turbines that makes the process questionable. In the long run there is no doubt that it's a very good equation but getting their can be a bit tricky. Let's break it down in a way that explains the process very clearly. 1. Disadvantages of Wind Energy. The main one that comes to mind is the sheer cost of building the turbines. Based on that we are talking about major power generation and the cost of building the turbines including the concrete, the steel and all the foundation work needed to construct them. There is also the land that needs to be cleared to allow them to be built, this is really the main disadvantage of wind energy. With the advantages and disadvantages of wind energy being discussed so much it's the issue of carrying the power back to the grid therefore you need power lines and transformers to do this, so of course they have to be constructed in the first place. Also all the materials that is needed to have this completed is very resource intensive anyway, but over time it certainly works out better than the current situation. Why not build a solar water heater and save up to 65% on your energy consumption. The issue of displacement of wildlife has to be brought into the equation as well. If there is basically no impact on this that's exactly what we wanted, there will always be the issue of animals getting court in the turbine rotors and being killed but generally speaking that would be at a minimum. This is the price of progress in many ways unfortunately. 2. Advantages of Wind Energy. The energy that is generated from wind power is very substantial and certainly shouldn't be underestimated. Major wind turbines located off the mainland are approximately 50% more efficient than the ones that are on the mainland. This is mainly put down to sea breezes and with that with very little greenhouse gas emissions due to the conversion process. Going back to the advantages and disadvantages of wind energy, it's the cost of traditional energy compared to wind energy is where the the major advantage is, the main part is the outlay initially, some might say that it's very expensive and I would challenge them to think compared to what. The ongoing costs of traditional energy or the long term prospects of renewable energy that once setup will never have to be paid for again. An obvious part of wind energy generation is the ability to store that energy for use later, the wind doesn't always blow so we certainly need to store it. So far we have only discussed large scale wind generator's or wind farm arrangements. Let's have a brief look at how this can benefit you on a small scale basis for your home. If you build a wind generator you can harness the wind energy to benefit you in several ways. The main one obviously is a financial saving which would equate to approximately $100 a month which can add up to be quite significant by the end of the year. The other factor is that you don't have to rely on anyone but your self and that the energy being generated is totally free and that you did it. Also knowing that if you have a blackout or some form of outage you have a backup. Having said this, the advantages and disadvantages of wind energy is will be discussed very much into the future, but if you have your own wind energy being generated by a wind generator there is disadvantage at all and there is nothing to worry about because you're not needing to rely on the grid. Basically, wind turbines are machines that rotate whenever the force of the wind blows by it. It transforms kinetic energy into mechanical energy. The latter is then converted into electricity. The power generated is dependent of the actual wind power. The stronger the wind, the more power is produced. The wind is a very good source of power as it is available all the time. It replenishes very quickly. Most of the time, wind turbines have 3 blades placed on the top most portion of a tower. They are designed to be placed on top so as to get maximum wind power. With the skyrocketing cost of electricity, it is but practical to utilize the power of the wind in the form of wind turbines. Producing your own electrical power at home is very convenient and environmentally safe. Just imagine the amount of money you can save if you have your own wind turbine. Nice article you posted . Congratulation to decide going green and clean. We also preserve nature and save money by using free cost windpower energy and that was by the help provided in: http://www.windpowercost.org Thanks for your post. i was amazed about the wind turbine and so i search wind turebines for homes and i found this link..its a great product..try it out also..
here is my site..i got my wind turbine..great deal..